With more and more companies making their way into the market, the competition has heightened to a great extent. One great way to beat the competition is to build an innovative and unique mobile app, ideally one that helps add value to consumers. As you may know, the use of smartphones is increasing at a fast pace, which enhances the likelihood of getting your apps downloaded by the majority of users. In fact, many businesses and companies are already making use of mobile applications as a tool to drive more users or to boost work productivity. When it comes to increasing the visibility of your app, Android is the best platform that can offer you extended reach. After all, the OS holds maximum smartphone market share which means that creating an Android app help expand your reach to a larger user base compared to iOS applications. In terms of revenue generation iOS apps surpass Android. In fact, it is estimated that “Apple’s app generate 73 percent revenue compared to 23 percent app revenue generated by Android.” Also, the sales revenue of iPhone/iPad apps is at least five times more than that of Google’s app. So, if you plan to monetize from your app, then to develop an application for Apple users will best fit your needs. Getting your app published on Android app store is a lot easier in comparison to Apple. That’s because, unlike Apple’s stringent rules and regulations, the publishing process that you need to follow for Android applications is pretty simple. You just need a publisher account at Google Play Store and need to gain knowledge about publisher console and available tools. Next, enter all the necessary data at the Google Play Developer Console and then agree to the distribution terms. And then, pay the registration fee. After your account gets verified, you can make your app published directly via the Developer Console. The design standards of iOS applications are better than Android apps, which can be attributed to Apple’s strict guidelines. However, the scenario has changed a bit post the release of Android’s Material Design principles. But still, iOS applications seem to have an upper hand over Android-based apps when it comes to developing one based on high quality design standards. 5. Which Produces Secure Apps? Apple’s closed environment called “walled garden” helps in building secure apps free from malware. Besides, Apple avoids users from installing applications from third-party source. It only allows downloading apps from its app store, which helps in preventing malicious apps from making their way into the app store. In comparison to Apple apps, Android-based applications are less secure and more prone to getting attacked because of its increasing popularity. Hope the above list of points will help you decide which app platform will befit your business needs. But if you still feel confused, the best way to make the right decision is to understand the behavior of your customers and their needs. Basically, you need to check out whether your user prefers Google services like Google Now, Maps, etc., or find iTunes more useful. Getting information about your customer wants and needs from a mobile app will apparently enable you to decide which app platform is perfect for you. When you have what it takes to built an awesome mobile app, Google Play Store is a lucrative niche to tap into. Another harsh aspect to this is that there are over a million apps listed and earning user love can be a daunting task. Moreover, there are many Android app developers for hire, in the market.In order to create a widely successful app, you must follow these actionable tips that will help you in your app ventures. Don’t rush into implementing that cool app idea you had yesterday. First, you must go into the basics. Despite Android having a bigger market share as compared to iOS, iOS users have been shelling out four times more money on apps. Which means that potentially, iOS developers can make more money. However, on the positive, those developers who are targeting the Android users, have to access to a larger user base. Weighing the pros and cons : What must be your monetization scheme : Paid or advertising? What is more lucrative (and beneficial to you)? Quick profit or a larger user base? A noteworthy fact is that freemium games bring in most revenue to Android developers, despite messaging and mobile security currently topping the list of most downloaded apps. With Android, you will gain access to considerable emerging markets including India, SEA, Latin America, China and Russia. However, you must realize that they simply lack spending habits. Android devices come in a number of shapes and sizes. In order to stretch their content to fit different types of screens (and yet, look amazing), one must ensure usage of layout designs. A recommended best practice is to follow the official design guidelines rolled out by Google. Cloning an iOS app for Android can be a huge mistake, and it’s quite common these days. It is one of the factors that is killing the user experience: Pushing design and usability standards to Android users. Have you seen the impeccable offline experience of WorkFlowy and Evernote? Apps that deliver a “wow” offline experience usually manage to achieve a lot of user love. In order to avoid a wave of user frustration after launch, you must always think ahead of how your app will work in offline mode. Intuitively simple ones are the best apps in the market. If users do not come across a super easy to use design, they will drop off quickly. You must have people in your tech-savvy circle to use your app. Then watch closely how they interact with it. Is the app intitive? Are the buttons of comfortable size? Where all did they get stuck? How are the texts? As you see all these, make notes and continue to iterate. Localized versions of your android app that woo users, always proves to be a smart maneuver as Android apps are hugely popular in different regions. Usually, the user interface that can be localized, is stored onto separate resource files. The app will automatically switch to the device’s default locale by specifying the configuration language and region qualifier. We hope these tips help you create “wow” apps in future. In this quick paced world, rivalry is taking off high in each business; particularly amongst the mobile application development organizations. As, individuals are getting to be mindful of a mobile application for their organizations, everybody needs to get an application fabricated from the experts. The field of Android application improvement is flourishing and thus, you should likewise employ an organization that must include qualified and experienced Android programmers to get an application created for your business. Having said that, it is advisable to hire Android application developer to ensure a surefire mobile solution that can help you boost your business values in a desired fashion. Since, there is no death of Android professionals across the earth, it won’t be hard to find a valuable resource who can accomplish your project with a great precision. 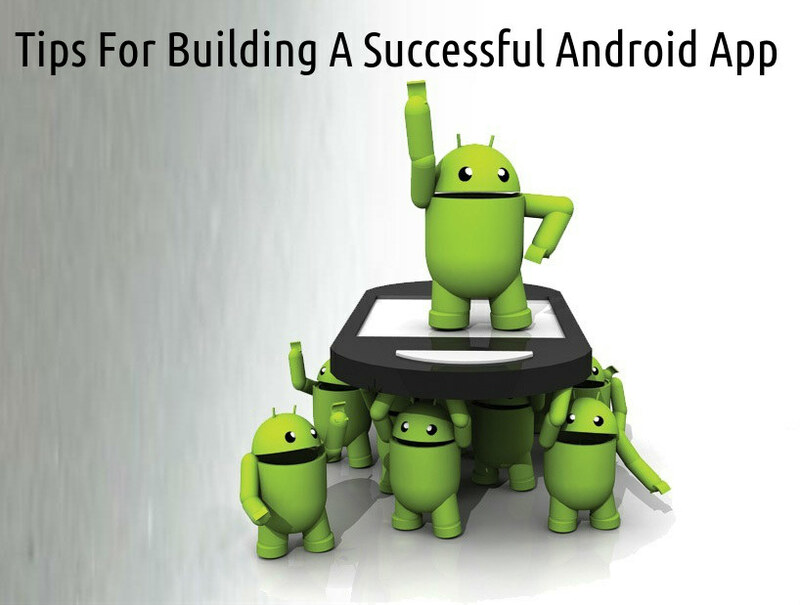 Let’s examine the absolute most vital components that prompt a fruitful Android application. Pace is a standout amongst the most imperative components which ought to be taken into the thought regarding the performance of the portable applications. In this busy world, individuals don’t prefer to sit tight, not withstanding for a solitary additional minute. In the event that they open your application and if takes too long to open, individuals will prefer exiting and deleting your application from their devices. Thus, verify that the stacking rate is as high as it could be reasonably be expected. Online networking via social media is pretty helpful in promoting your application across the world. A large number of individuals get to the long range social networking sites nowadays, so this is the most ideal approach to showcase your application. Today, online networking sites offer the speediest method of correspondences. Therefore, make sure that you make the most out of the significant ones. Likewise, you can post and offer the web journals, podcasts, etc. You need not expose every component in your application amid its initial release. It will require a great deal of investment to add to a completely developed application and will build the opportunity to showcase, which is bad for the well being of your application, as your rivals will launch their applications before you do and attempt to win the most extreme clients. So in the first place, you can launch a free trial. Additionally, the vast majority will download it, as it will be free of expense. “Promotions” is something that everybody despises; particularly, when it impedes the errands and appears in the application. Nothing can disturb clients more than a promotional advertisement. Along these lines, it is dependably a smart thought to keep your Android application free of promotions, on the off chance that you need individuals to continue utilizing your application for a long time. Similar to the other things that are dispatched in the business segment, you would need to join with your social event of individuals bearing its inclinations and abhorrence in mind, while building up an application. While it is prepared with the motivation and imaginative contemplations, adding to an application around customers’ necessities would confirm shot hit. Think yourself as a customer and review what as a customer had enchanted or put you off the application and to outline the most proficient Android application. These are a couple of the ingenious tips that can amazingly assist you with delivering a superlative application that can hit the application store upon its release. Keep these tips in mind to ensure a fruitful application. Google has amazingly evolved Android into a smashing mobile platform by introducing suitable advancements in its functionalities. Today, Android possess a colossal user base, and with over 80% of mobile market shares, it is a dominating mobile OS in the market. For this reason, businesses and developers are taking the platform more seriously and preferring Android app development. This has eventually augmented the demand for an adept and reliable Android app development firm that can offer cost-effective and remarkable mobile solution to leverage business values with a flair. The Android user base is only expected to further flourish, as Google is consistently thriving to ensure the surefire success of the platform in the market. After Android lollipop, Android M is the next upcoming version that will boost the sales, and further enhance the credibility of the platform. As, many Android users and tech-savvy individuals are eagerly waiting for the update, I have enlisted some fine details about the resourceful improvements that the forthcoming platform will offer. Don’t get disheartened with the little or no change in its aesthetics, as its valuable enhancements will make you go crazy for this ultimate platform. If you want a noteworthy and a resourceful Android M application that can reap the benefits of the integrated features, it is advisable to look for a well-versed Android app developer for hire. 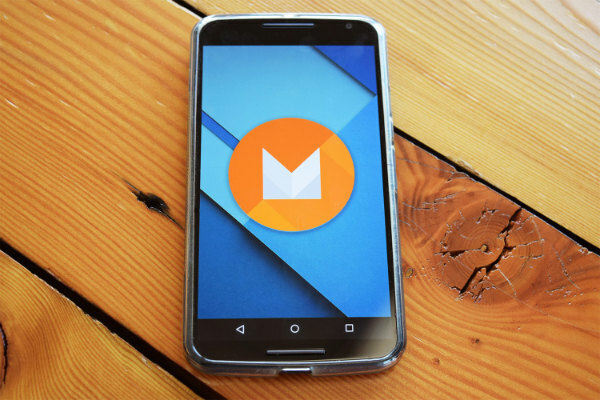 Without any further ado, let’s unleash some brilliant enhancements that Google Android M will offer you. Better Google Now – You will observe a major change in the way the Google Now is improved. Now, you will be able to conveniently search relative content via your handy Android M powered device. Equipped with Fingerprint Scanning – Google will standardize the fingerprint support. Thereby, allowing device vendors to integrate fingerprint scanners into the Android devices. Optimized Battery Life – The Android M will introduce the latest Doze feature that will implement the motion sensors to create a remarkable standby, which will dramatically improve the battery life. This is done by proficiently handling the background process. Moreover, to offer faster charging time, it supports USB Type-C connectors. This feature will also allow you to charge your other devices with your Android phone. Application Permissions – Android M will offer enhanced privacy management by asking application-related permissions at the first time when you run the app. If there are some permissions that don’t make points or are not suitable, you can steer clear of them. This will offer a great control to users. External Storage Formatted As Internal Storage – With Nexus, Google has shown his disinterest in external storage support. However, Android M will support external storage, but it will be formatted as internal storage. This will certainly offer you adaptable storage embracing encryption to ensure the security of the content while they are moved between internal and external storage. Secure and Improved Android Pay – The fingerprint scanning can be used to buttress Android Pay and make it more secure. This will certainly make Android Pay a real time mobile payment system with an intuitive and impressive interface. There are numerous Android developers who have up-to-the-minute knowledge about the platform and can deliver a prolific performance. You just need to research thoroughly to ensure the best suitable professional. The forthcoming Android version, Android M will come jam-packed with a slew minor yet advanced updates that will further add to its versatility and scalability. This platform will make your device smarter with superior features. The advent of smartphones was one of the major breakthroughs in the industry. 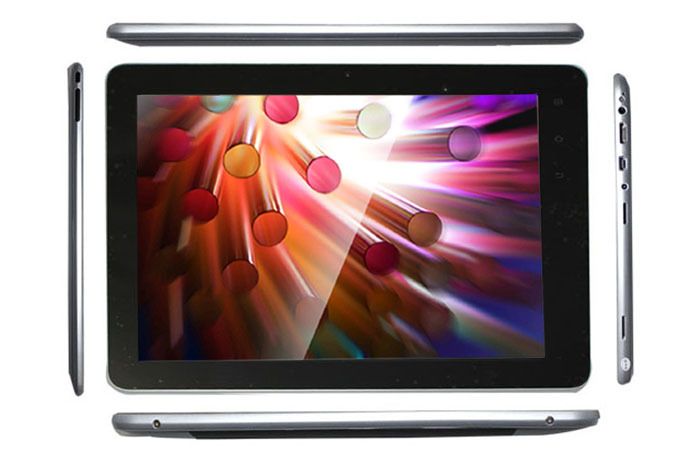 These advanced devices have enabled individuals to carry the Internet in their pocket and access the web as and when desired. This certainly augments Internet browsing. 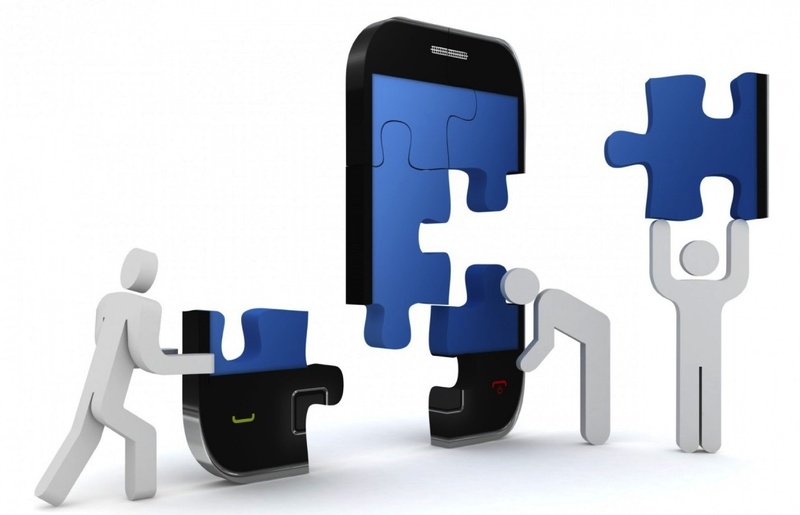 Then the inception of mobile applications further takes the technology to a notch higher. Soon, the mobile apps became the cornerstone of smartphones. Ever since the evolution of mobile applications, the businesses of almost all niches are incessantly revolutionizing. After observing the rapidly increasing mobile traffic, businesses have started embracing a mobile solution to ensure their effective and efficient presence in the wobbly market space. And, to attain an invaluable mobile application for the most popular platforms (Android and iOS), organizations often prefer to hire Android app developer or iOS app developer as per the requirement. This is because to stand ahead of the curve, a trendy and prolific application is significant. However, with the increasing popularity of mobile apps, the application security can’t be ignored. There are numerous hackers out there seeking a vulnerability to leak the sensitive information, which can harm any business. 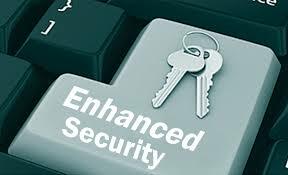 Here are a few security issues that are hard to prevent and thus, must be dealt with a great precision. While looking for an economical and cost-effective solution, developers tend to choose the codes that are available for free to develop their applications. Some hackers take benefit of this opportunity and create code that when used by a developer can offer hackers an easy access to the crucial info. Thus, it is advisable to research beforehand and work more attentively while using a third-party code. It is imperative to ensure that the transit is properly shielded from the unauthorized elements present on the other side of the servers. For instance, open Wi-Fi connections keep lurking for apps that can be easily targeted. To keep this security issue at bay, it is advisable to implement the latest SSL certificates and encryptions. This will help mobile app deliver a seamless and flawless performance without allowing the external elements to play with the app security. In many ways, mobile devices are undefensive as compared to desktops and laptops. Hackers are quite smart and know the way to gain the access to the cached information and thus, doodle with the device security. This kind of mishaps can be prevented by using a password. By implementing passwords on applications, the data caching drawbacks can be effectively addressed. If interested, you can seek a mobile app development company and outsource Android app development to them while asking them create apps accompanied by passwords. There are several companies across the globe that offer outsourcing services at affordable prices. Many app developers often forget to make an app secure from the situations when a mobile device gets into unauthorized hands or in mobile theft cases. Experts must consider the security of the critical info kept in a mobile device in such situations. This is because, most of us carry several sensitive data on our mobile devices from auto-saved passwords to certain softwares to the saved account details. This can be easily hacked by hackers and benefit their business. To combat this issue, a local session code can offer a decent solution. According to the local session code, the app users will be frequently (in certain periods) asked to enter a password to run an application. This will help secure the mobile data from the unforeseen mishaps and buttress the app performance. These are a few of the effective mobile app security issues and their appropriate solutions that can help you create a highly secured and remarkable application. Go through the aforementioned tips and develop a valuable application to leverage your business. The release of Android L in June 2014 has marked a new revolution in the world of Android operating system versions. The all-new Android OS version has turned up as a “game changer” for Google’s mobile platform. From addressing the pitfalls in coding to offering an entirely new user experience, Android L has been found competent in everything. If you’re new to Android L and want to dig deep into this Android version, reading this blog will prove befitting. Here, I’ve covered details about some crucial features that have been introduced into Android L and play a vital role in offering a whole new dimension to Google’s mobile platform. Android L is primarily optimized for addressing the battery issues that tend to exist as a consistent problem for tablet and smartphone users. Now, it has become possible for Android app developers to view the battery usage information with the help of “Battery Historian” feature. In addition to this, the new built-in API called ‘Job Scheduler” has also enabled the developers to set conditions wherein the app can stop functioning in the background, thereby helping in saving the battery power. One of the most advantageous battery features available in Android L is that in addition to viewing the percentage figure of battery power, you can even get a glimpse of the estimated time of use. Every Android smartphone encounters two types of display fixations- first, when the device is set to “automatic mode” the brightness suffers under low room light conditions and second when you’ve to set the brightness on a repetitive basis. With the new Android L, you can avail the flexibility of setting the brightness as per your comfort level and for rest of the conditions, the device itself adapts the brightness under different light conditions. Although your various reputed Android App Development in India offers you the flexibility of fine tuning the settings for incoming notifications, this often poses as bit of an issue. With Android L, you can choose to stop all incoming notifications by simply going to your ‘Quick Settings’ menu. Here, just enable the ‘Do not disturb’ mode and you’re done with ensuring complete peace of mind from receiving the annoying incoming notifications. Well, this next feature of Android L will definitely get you off your seat. With all the buzz that’s been created by Android L, now your Android smartphone will have a 3D multi-tasking feature. This 3D effect has been possible due to the Material Design which displays open apps as overlapping cards. And that’s not all, this 3D effect has also been given to Google’s official Android browser called ‘Chrome’, which is visible once the user switches from one tab to another. Also Read: How to update iOS 7.1.2 and fix the Wi-Fi issues? Since Android L has marked a shift from the Dalvik run-time to the ART(Android-Run-Time), all apps developed for this operating system version are more sophisticated and run at a faster speed. Being one of the proficient Android App Developers, getting inspired from the 64-bit CPU support offered to iPhone users, Google has also hinted at providing a tempting 64-bit support to its Android consumers. The latest Android OS version i.e. Android L has marked Google’s support for 64-bit CPUs. Well, this was a much-needed update to the Android OS. The recent Android L enables users to remotely reset their device(smartphone or tablet) in case it’s been stolen. 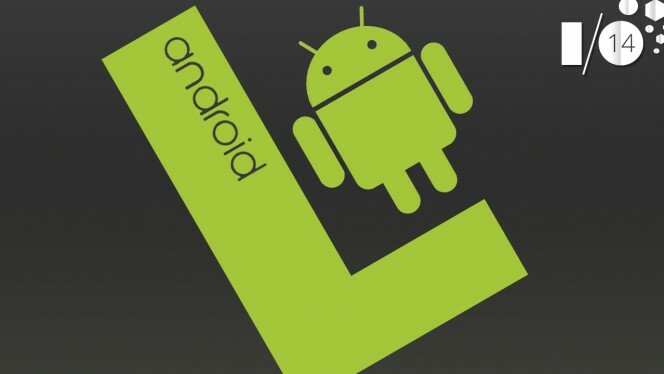 As is prominent from the above mentioned details, Android L has a bright future ahead. It will truly turn out to be successful in becoming the leading mobile operating system, used by app developers worldwide. Also Read: What All You Need to Know About Android Rooting? You might have heard of the very popular belief that developing and then executing successful marketing campaigns for any mobile gives a long run to the idea of developing an app. Usually, the developers come up with very innovative ideas, but due to lack of promotion for it, their “idea” gets unsuccessful. So, in order to aid such developers with such issues, we have listed some steps for executing and creating killer marketing campaigns for mobile apps. In case, you are feeling as if there is really something that has to be done within the niche marker, better get started with brainstorming on idea and spot the feature with which your app has to be built. Do not restrain yourself within a room until you app is released. 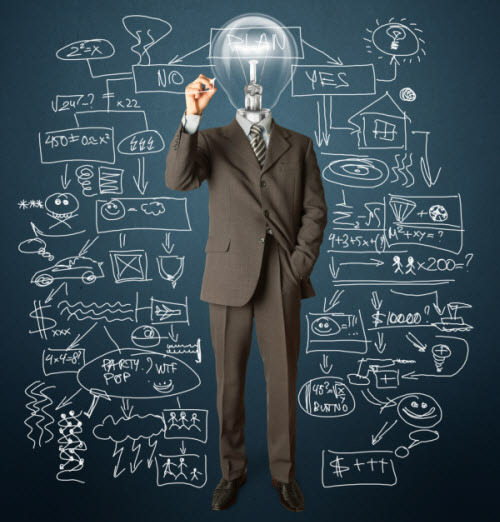 No matter, whether they are just the peeks or potential customer; explore your ideas. There are huge chances that they prove you the right feedback that you might not get with your market research. Provide your users with the choices of how to choose the Mobile Application Development Services just like opt-outs, privacy settings and other ways of controlling the personal information that has already been piled-up and explored. It is very worth-full to apply “clear and conspicuous” standard for such choice mechanisms as week. Always offer an ease to find the tools you design and offer that are simple to use and follow it by honoring the choices of users. Before you take your app to the market, you must identify and organize outreach for individual which can beta test the app. These individuals must be in the line with all those who outlined within the user persona process because they are the one who will be going to use your app. In order to perform the highly effective beta test, you just need hundred individuals for using the app following it by giving the feedback. It might be a daunting task to find hundred people, so it will be the best idea, if you will organize an attractive campaign for them. Professional Mobile App Developers may also employ the internet for exploring the tips in order to promote their mobile app at world-wide level. This is vital as it will give the best return of the efforts and ideas. We are living in a world where businesses are at loggerheads, over sustaining their market share. Although, large-size companies has copious ways to survive, but generally small and medium enterprises are the ones that often face the dearth of resources and money to help them cope up with the ever-increasing market demands. Application development is a viable way that can help these small and medium enterprises to dream big and reach potential customers. Since, SME’s are often tied to shoestring budget they can opt for Android platform for developing an app that can help them reach out to more customers. Android is an open-source platform and as opposed to other major operating systems, Android apps can be easily installed on your phone from Android market. Moreover, due to the Android’s growing fame developing applications on Android platform acts as a branding strategy, for small enterprises. An astounding number of around 1.5 billion apps download Android apps from Android’s market, that is, Google Play Store each month. This is another reason that makes Android Application Development a must for SME’s. What’s more? Since, Android offers an open marketplace to distribute your Android apps, you have the entire control over your application. This means, you can publish your app, at anytime and make it available to the customers of your choice. If you wish to build an Android app, it is advisable that you must hire an experienced Android App Developer. In fact, hiring an app developer also helps you save a lot of your time that would have – otherwise, been spent on carrying out the development of Android app. There are several offshore development companies that cater app development services – right from building an app, to execution, testing and distributing the app. Thereby you can earn yourself the time to focus on your business related concerns, mainly expanding your business reach. These companies have a team of professional developers having hands-on experience in deploying app development projects. 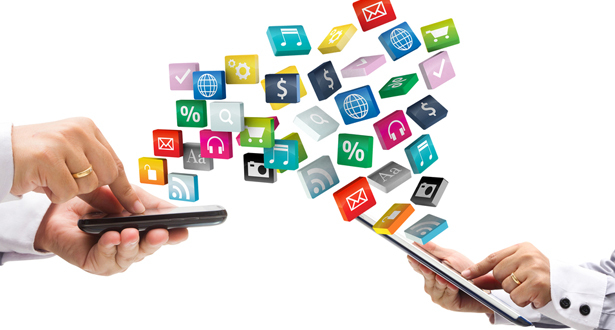 Moreover, these companies can help you build app for the diverse industry verticals. However, you need to remain extremely cautious when deciding the right company, as many companies often do not deliver what they guaranteed in the beginning. Android app development is undoubtedly a boon for small and medium size businesses and enterprises. However, a well-planned, nicely crafted and implemented app further heightens the growth prospects of the diminutive and medium level business. With the unremitting growth of the smartphone users, there has been an upsurge in the demand for the apps that can be used on the smartphones. With Google and Apple each offering more than 700,000 apps to the users, gives a clearer picture of the fact that the mobile app industry is thriving and is only going to get bigger. According to recent surveys conducted by IDC, it is predicted that the need for Android will grow in the near future and Android will be having the greatest market share in the mobile app industry, which is estimated to be around 31.1% in 2016. Whereas iOS, is expected to have market share that will grow to only 17.3% by 2016. 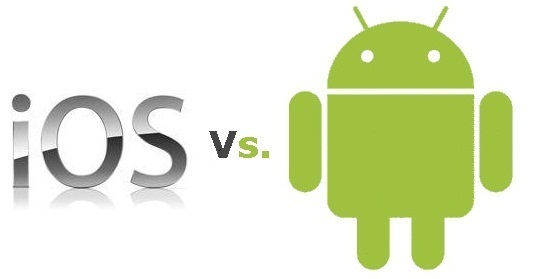 Android has become a hot favorite among application programmers across the world, owing to its open source nature. With this businesses get the advantage of building some applications which are free of cost and others are sold at highly affordable prices. Android applications are accessible through Google Play Store, which is the largest mobile app market with numerous mobile users accessing it every day. Thus, Android applications will reach a great amount of visitors as opposed to those developed on other mobile platform. 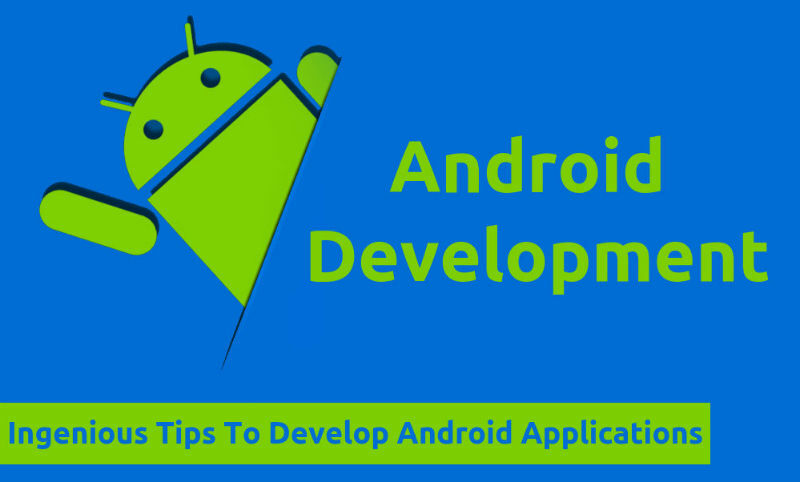 Android offers a development environment that is easy to use and can be used to develop customized android apps. Furthermore, the development environment also allows end-users to test the developed apps to determine their functionality prior to uploading them for downloads on the Google Play Store. Google constantly keeps on bringing new updates for the Android apps, and thereby makes the applications to be a laudable choice for businesses. This gives more space to online marketers, businesses and developers to furnish more business strategies. Android Software Development Kit (SDK) provides great support to developers for designing android apps. The SDK platform comprises of a huge collection of libraries that makes it possible for the developers to develop any type of app that they want. This isn’t the end! The SDK platform contains features that facilitate the developers to port applications from other mobile environments and later transform them to become cross-platform apps that can be used on any device. Today, each and every business owner wants to make it big in the mobile app industry. Therefore, in order to equip the advance technologies and compete in today’s highly competitive market, it becomes mandatory for every business to develop or update their mobile technologies. The most viable alternative is to hire services of a reputable mobile app development company, as it guarantees high ROI on your mobile app development. It is important to have a plan ready before getting started with the entire development project. One mistake that most of the developers do is that they let their pre guided notion rule the entire process and they get started with the development project, not by paying attention to the specific requirements of the project, but by letting the previous experiences rule the process. Although it may work for a while, might even aid your productivity, but if you need to up the ante of the applications that you develop, so instead of blindly venturing into the scene of apps development, develop a complete strategy. If you started learning the android development process , by drafting a skeletal structure on the piece of paper, you should start doing the same with every project that you take up from now on. The present day trend, one which is even subliminally reflected in the Apple’s decision to opt for a simplified Flat Design as against to the bright and chunky one, is to actually simplify things. Anyone can turn up with a complex app, it is easier to complicate things, but it requires true skill and potential to actually simplify the processes and develop an application which simplifies a complicated scenario. In order to achieve that, one way available with the developers is to break the large chunks of complicated applications into simple and easy to manage smaller components. If you break the applications into smaller chunks, it makes up for very easy and efficient and error free development. Thus, as a developer, never shy away from simplifying the app development process and using the bouts of your creativity and innovation to develop a rather easy to use system. One thing which developers need to start doing now is to start testing the applications for the possible flaws that may persist. Often times, especially with the present day rush for Android apps development, developers are encouraged to just get over with the development in the minimum possible time. This behavior can prove out to be fatal in the long run. While testing your apps, do not simply look for approving it, but look for the possible flaws that may persist in the application. An intelligent thing here to do would be to ask your fellow developer to test the app instead of you doing the same. This will rule out the level of personal biased which is inevitably bound to creep in while we are testing the apps which we developed ourselves. Lastly, the biggest favor the developers can do to them is to keep his coding knowledge and practice up to date. The development world I continuously changing and progressing and hence it gets hard to match up with the pace of the change, if we do not learn a new skill every day. Thus, to improve your Android application prowess, do follow online blogs and discussion forums, keep yourself updated with the developments in the technology and be aware of any latest developments in the field of Android apps development.